Regional airlines have long been the conventional steppingstone for civilian pilots to get to a legacy airline. Lots of hopeful pilots signed promises to lenders and racked up debt—often into the six-digit range—while chasing their dream to fly. “I’ll pay it off when I’m at Delta,” many reasoned. Changing times made us reevaluate those goals. “Well, if the upgrade to captain ever comes along, I’ll get more debt paid off,” seemed reasonable, and then some of us gave up and just kept driving our 300,000-plus-mile cars until the wheels fell off. Flying for a living never felt less glamorous than the day my noble Toyota gave up the ghost, and I sat beside the highway trying to decide if the scrap value would offset the towing bill to get it to a junkyard. I had just finished up a trip by getting an earful from a customer complaining how pilots are so overpaid and underworked after our late arrival into Atlanta. The vast majority of pilots enter the career with an expectation for a comfortable living doing what we enjoy. For many years, the average new regional airline pilot earned about $19,000. This peanut butter-and-jelly existence was written off in the words of the old guard as “paying one’s dues.” Times have changed in recent years, and now regional carriers can’t find pilots willing to fly for such wages. If you’ve been on the fence about flying for a living, it’s a lot more affordable now than it was five or six years ago. If you’re comparing pay scales, you can basically figure on being paid for 1,000 hours a year. First-year pay of $35,000 is pretty common now, and it’s still going up. Regional pay scales top out at around $50 an hour for some of the bigger companies. When you upgrade to captain, you can expect a pretty significant bump in pay, but that’s a mighty fickle carrot to chase. Upgrade time—the years spent gaining the seniority to upgrade—is a moving target that can lead you right down a box canyon if you let it. Here’s my scenario. In 2007, I hired on with my regional carrier, and the man interviewing me congratulated me after making the job offer. “You’ll upgrade in two or three years and be at a major carrier pretty quickly after that,” he said with a slap on my back. “Welcome aboard.” Reality set in the week I started training and crude hit $100 a barrel. The mandatory retirement age changed from age 60 to 65. Instead of upgrading in three to four years, it took that long to get off reserve. I’ll likely be in my 10th year with the company before I upgrade. These are all things I had zero control over, and I’m not complaining. Not long after I get my 10-year upgrade, our company’s upgrade time will quickly fall to five years, because for five years there was almost no hiring. You better believe our recruiters are licking their chops, longing for the day when they can go to a career fair and advertise that five-year upgrade. 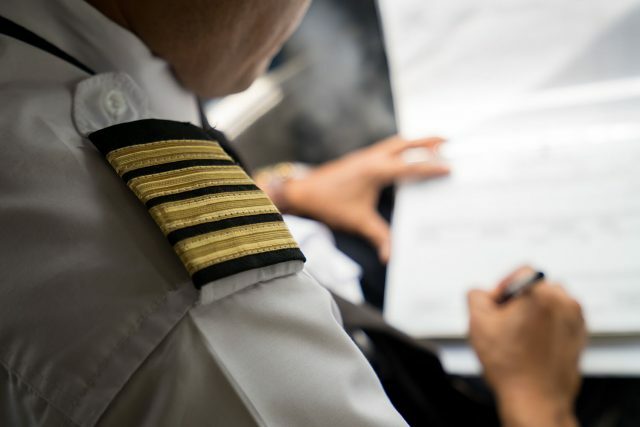 Many carriers are offering opportunities to hire in as a captain. “Direct-entry captains,” some call it, and it’s a great chance for those who qualify. Current regional first officers looking to add turbine pilot-in-command time to their logbooks and résumés are mostly filling those positions. The problem is, though, airlines are hiring for those positions because their first officers don’t have enough hours to upgrade. So you’re junior to those pilots, and as they upgrade, you’ll stay at the very bottom of the seniority for your airplane and seat. As current first officers gain the experience necessary to upgrade, they’ll move into the left seat, and they’ll be junior to you. Translated: You may spend a very long time on reserve, working weekends and holidays, until you gain the seniority needed to get a better schedule. Most of the pilots hiring into the captain’s seat hope to get hired at a major airline before they wait so long. The forecasts by industry analysts seem to cite the best-case scenarios, but things aren’t all peaches and cream in the regional world. The mainline legacy carriers are earning record profits, and news headlines tout giant profit-sharing payouts. Meanwhile, the regional carriers have fought in bidding wars for years, seeking contracts to fly for the big names. One carrier recently declared bankruptcy, citing contracts it signed years ago that can no longer be flown without losing money. Routes I flew for years in regional jets are now being flown by much bigger airplanes, as the mainline carriers are bringing more flying back into their own fold. We, as an industry, are fighting our way out of a hole we dug, but it won’t take huge influence to throw a bunch of the dirt right back on our faces. What happens if the retirement age changes again, or when oil climbs back from recent low prices? There are costs to consider in choosing this career, too. If you’ll live in your domicile city, that’s great, but many pilots elect to commute—to fly non-rev—from their home to their domicile. That’s not really achievable early in an airline career, so most commuting junior pilots have a crash pad. Crash pads can range from a couple of hotel rooms filled with bunk beds to a home where spare space is repurposed to give commuting pilots a place to rest. For a few years, I ran a very interesting crash pad on an airstrip, but that’s a story for another time. If you commute, you can bank on a couple hundred bucks a month to go for a crash pad. More costly, you can bank on a few days off lost to travel. If you live in Gulfport, for example, and finish up a trip late in the evening in Atlanta, you’ll likely miss your last ride home for the evening. That extra time away from home can certainly strain family ties. With seniority, though, you’ll be able to bid for a hard line—a set schedule—and if you’re commuting, you can bid for trips that allow for your commute before and after your trips. Years ago, everyone asked the 14-year-old me what I wanted for Christmas as the holiday season approached. I handed them the Sporty’s Pilot Shop catalog and said I’d be happy with nearly anything in its offering. Among other things, I got a T-shirt that showed a grimy pair of hands holding a sign. “Will fly for food,” it read. There were times in the years since when airplanes failed to put that food on the table, but the times are changing. While there are still going to be long hours earning that first airline job, you’re now mostly assured of not starving to death as an airline pilot. You won’t get rich early on, but perhaps you’ll avoid the all-ramen diet for your first few years. I’m a Mechanical Engineer who continues to chip away at finally getting a measly Recreational pilot permit in Canada….I have great admiration and respect for all the flying professionals (past and present) who pursue their dream of flying as a career. Hang in there and thank you. The cost of education for whatever field, has increased substantially over the last half century. I managed to graduate with a BS and no long term debit living paycheck to paycheck working part time in a plywood mill and other part time jobs. At that time I was unaware of any jobs relating to aviation for unskilled workers. My wife earned flying hours working in the office of an FBO. I got my PPL at a VERY inexpensive flying club. After graduation, the flying club failed and I got my first real job in another field. I enjoyed flying too much to persue driving an airborne aluminum bus where gentle maneuvers were not only boring but required. I could not imagine spending all those years in ‘college student poverty’ and significant debit for that kind of flying. Since retirement, I regret that I do not have thousands of hours in my logbook, and probably less retirement built up, but I do have a small amount with which I can renew my flying interest and buy or build a light aircraft which will allow me to enjoy sport flying from my home base on my own schedule. I’m sure that flying for a commercial carrier of any sort can be enjoyable, even exciting, but the cost to family relationships and work stability seems a price I did not want to pay for my ‘flying fix’. If I remain healthy long enough I might consider a part time CFI to help others learn about the thrill and challenge of flight. However your personal goals fit with the current economy. Good luck. Well written and thought out article…. All are individually achievable but collectively impact life quality. As one ages these issues increase in importance but by then one is locked in and its too late to change. Factor in bankruptcies, mergers and corporate maneuvering one wonders how they get anyone. So it make sure you address the above to determine if you are a good vocational fit first.